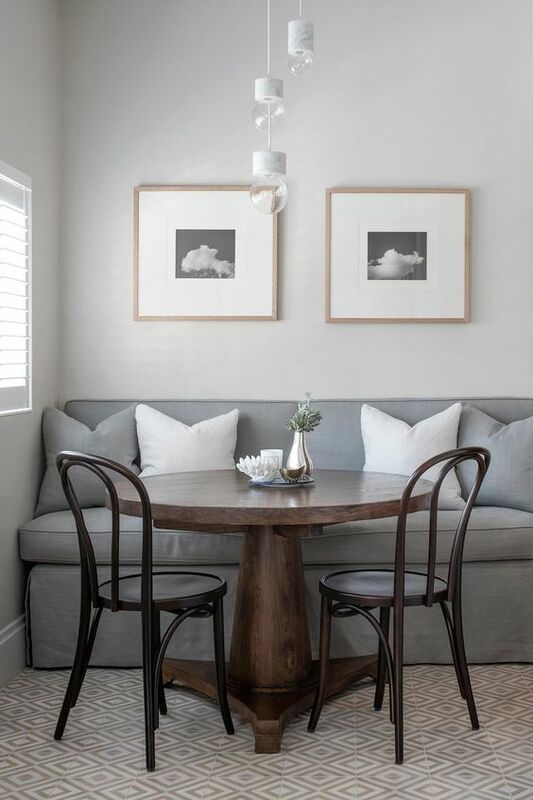 A banquette seating is a cool idea for any home, mostly for dining spaces – it accommodates many people, it occupies less than half the floor space a table and chairs require yet seats the same number of people. 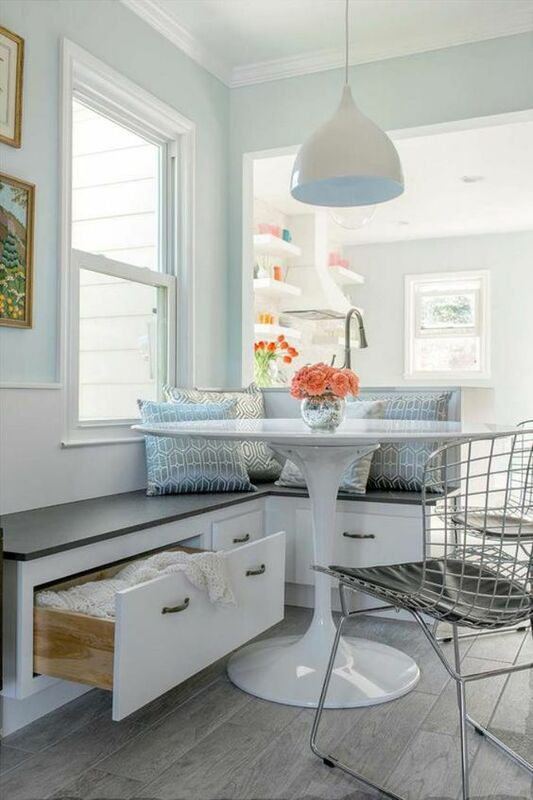 Plus it allows storage inside, which makes it one of the best ideas for small homes. 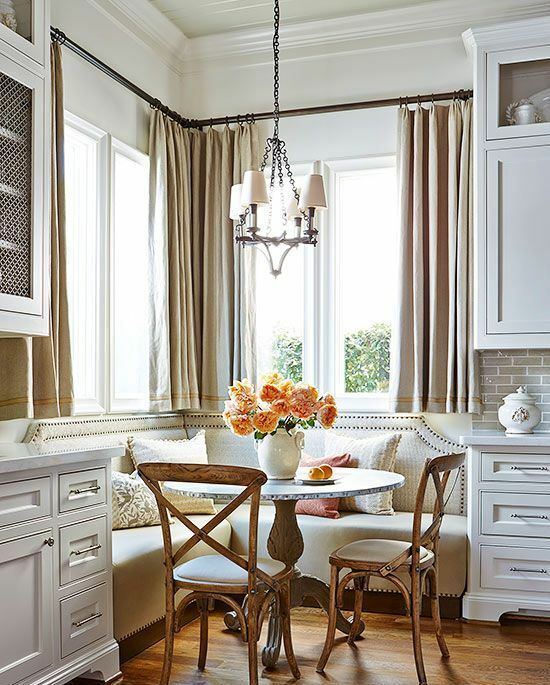 Avoid knocking knees by pairing a pedestal table with banquette-style seating. 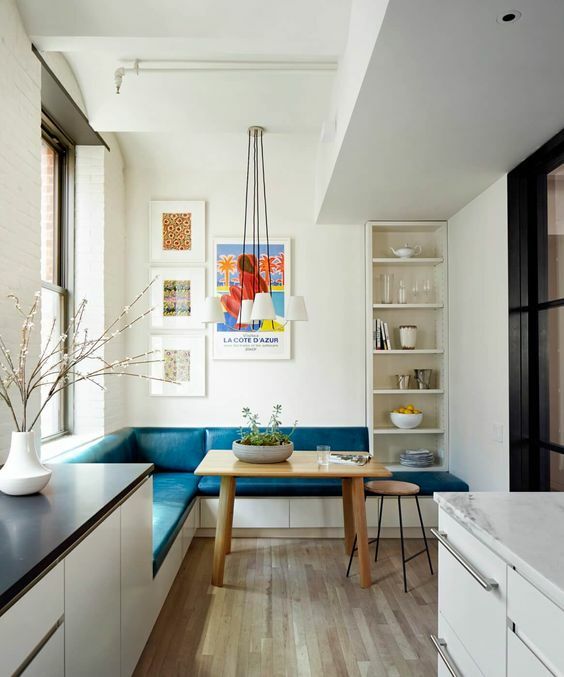 This configuration makes getting in and out of the bench easier by leaving space open below, plus it makes room to pull up an extra chair or two. 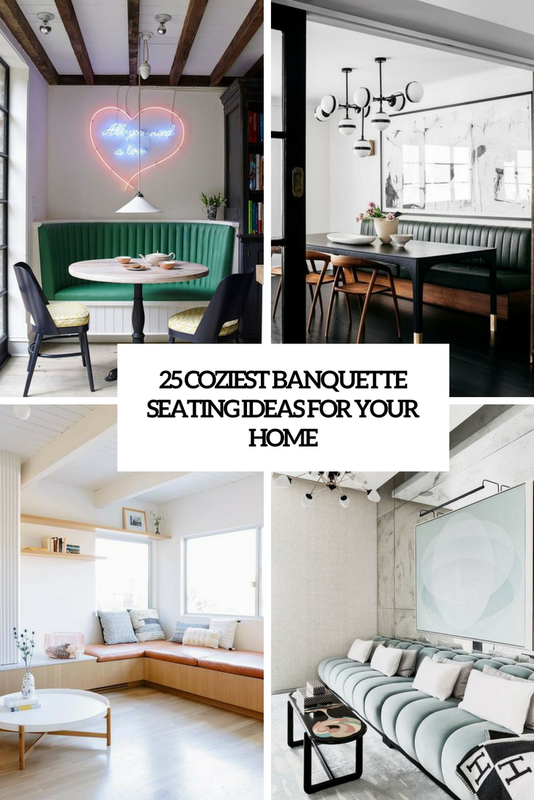 You may use banquettes in living rooms, bedrooms and home offices – not only dining space. Today I’d like to share some ideas to rock one and achieve a stylish look. 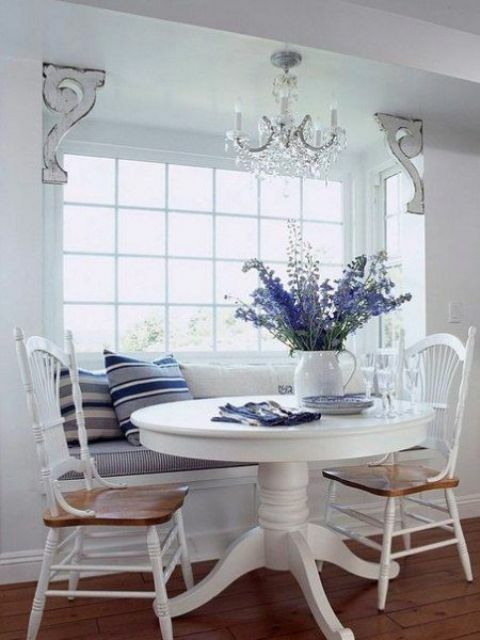 A banquette seating is a perfect piece for a breakfast nook or a dining space. First of all, it can accommodate a lot of people, second, it can feature some storage space inside. 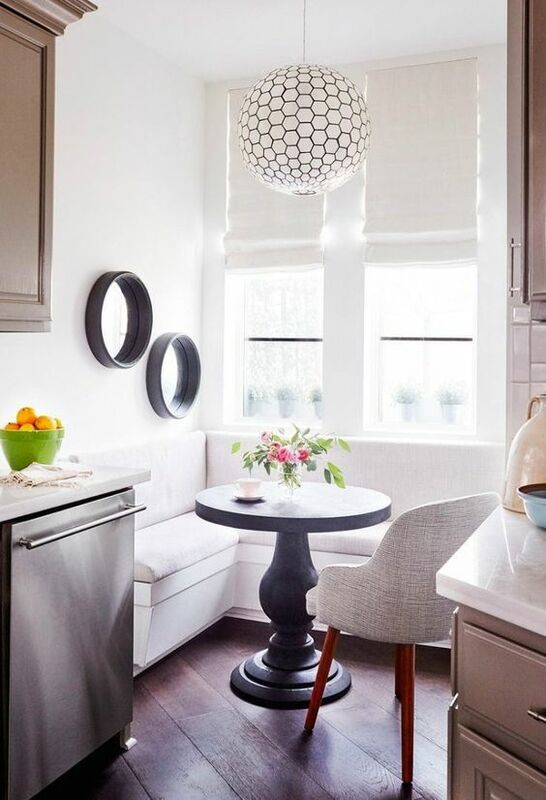 Besides, a banquette seating is a great thing for awkward and irregular nooks: build it in anywhere you want. 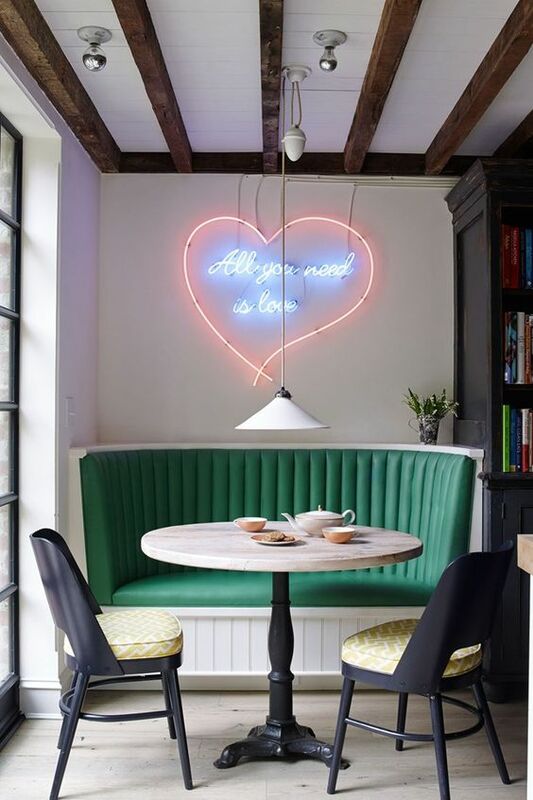 Besides the standard restaurant booth setup, banquette options include U shapes, L shapes, semicircles, and hybrids combining bench seats and chairs. 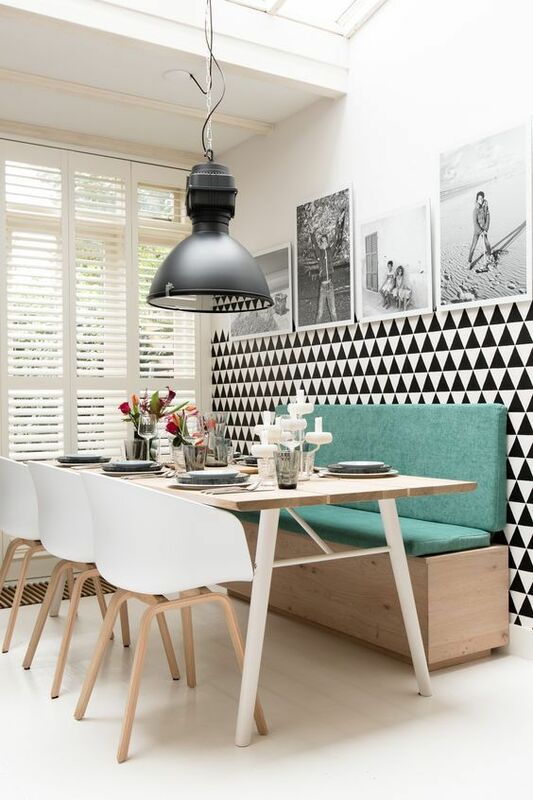 If you wanna make a statement with color, go for a bright banquette and add a bold artwork over it. 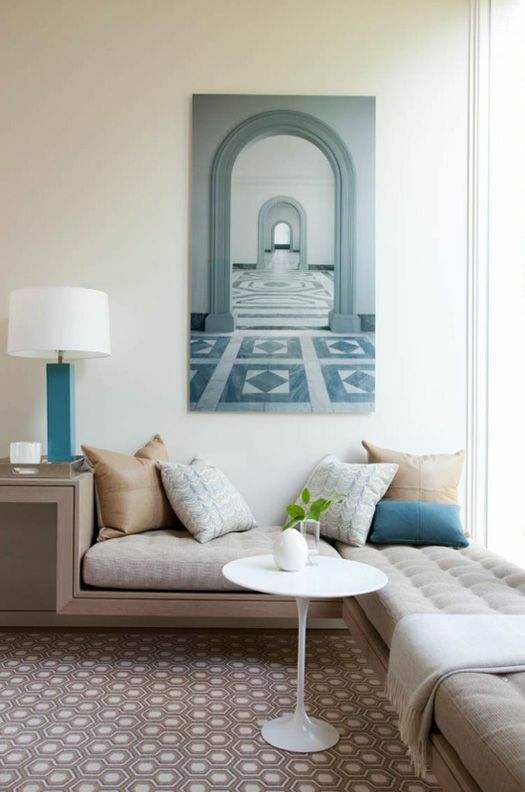 If you feel like neutrals, keep it muted or pale-colored. 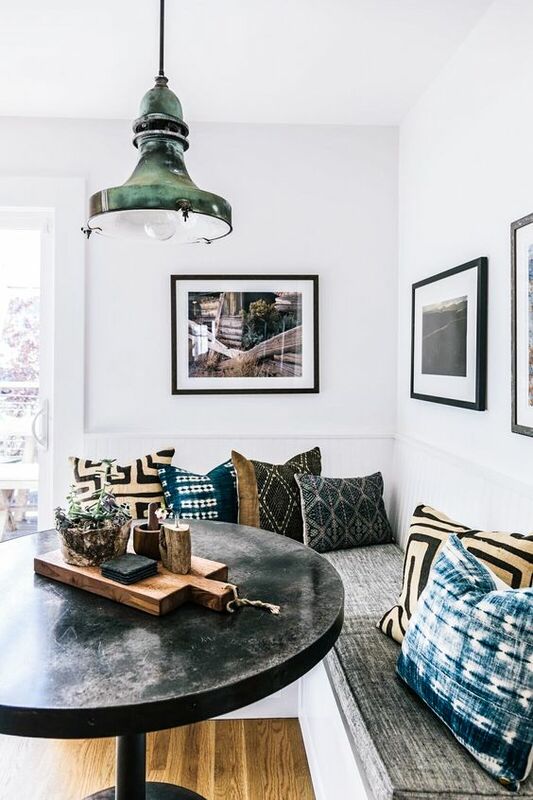 There are tons of fabrics to use for banquette upholstering: leather, velvet and many other, try what’s more comfortable. 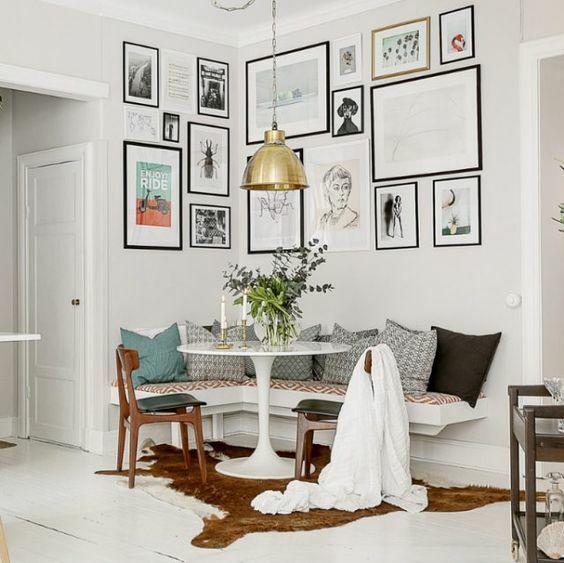 Have a small space? 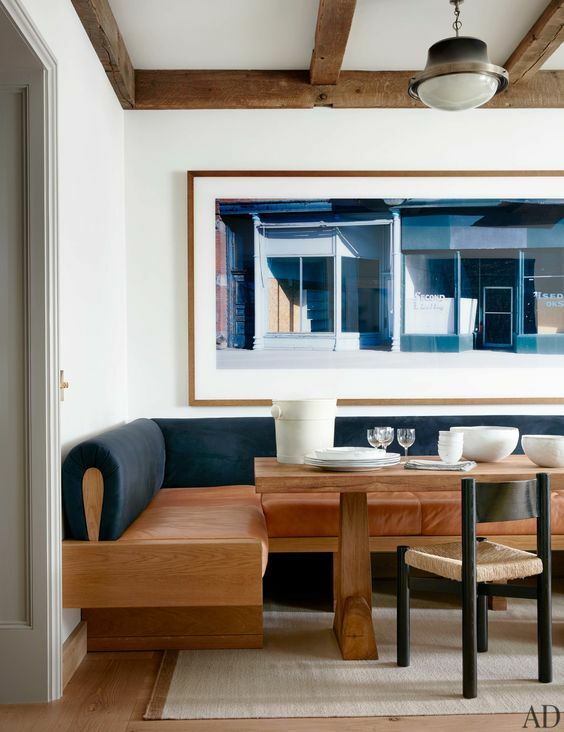 Make a wall-mounted banquette seating, it will look airy and lightweight. 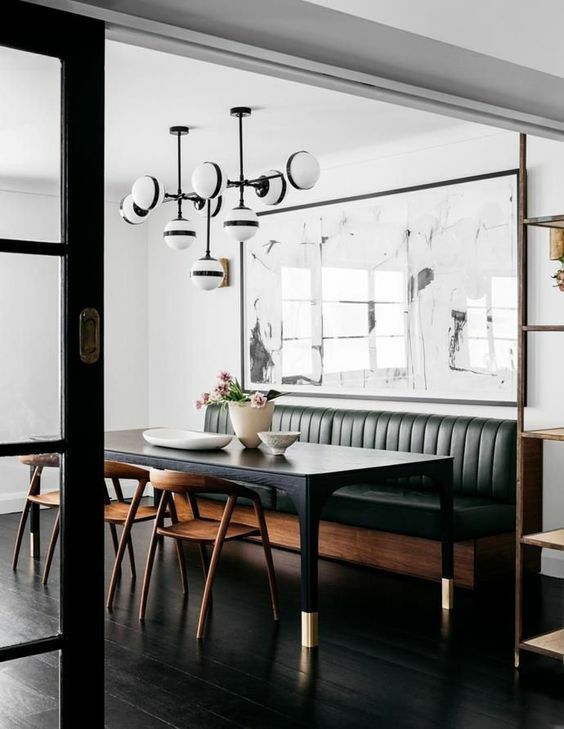 Banquette seatings are great for home offices, living rooms and bedrooms, especially for mid-century modern ones. 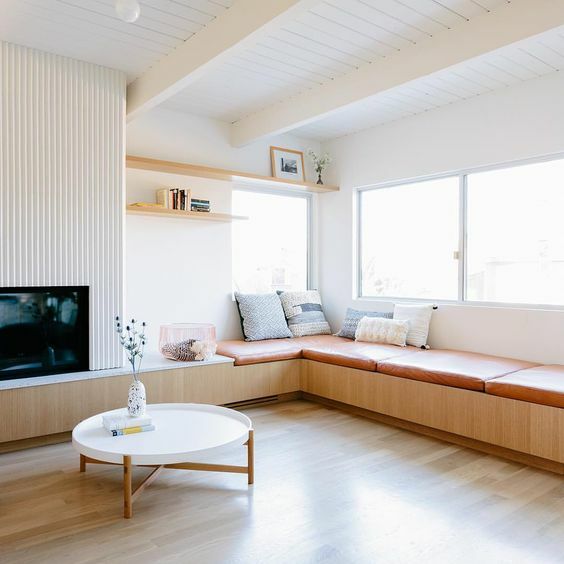 Such a seating can substitute a sofa – it’s much more comfortable, can accommodate more people and will leave much negative space as banquettes are usually placed by the wall. 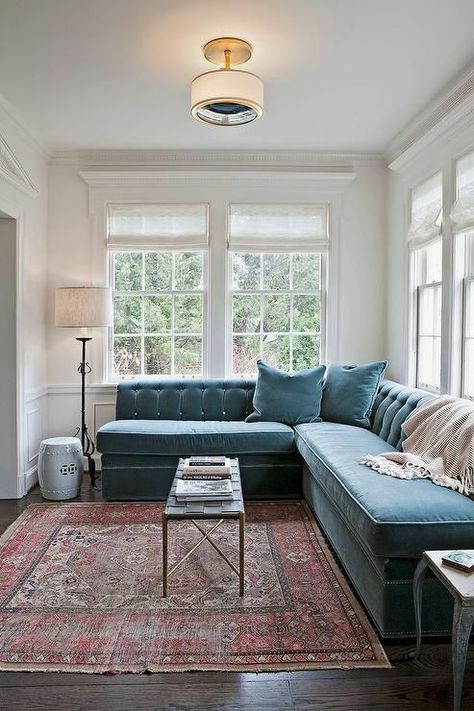 Create a gorgeous cinema room or add charm to your living room with a velvet upholstered banquette. 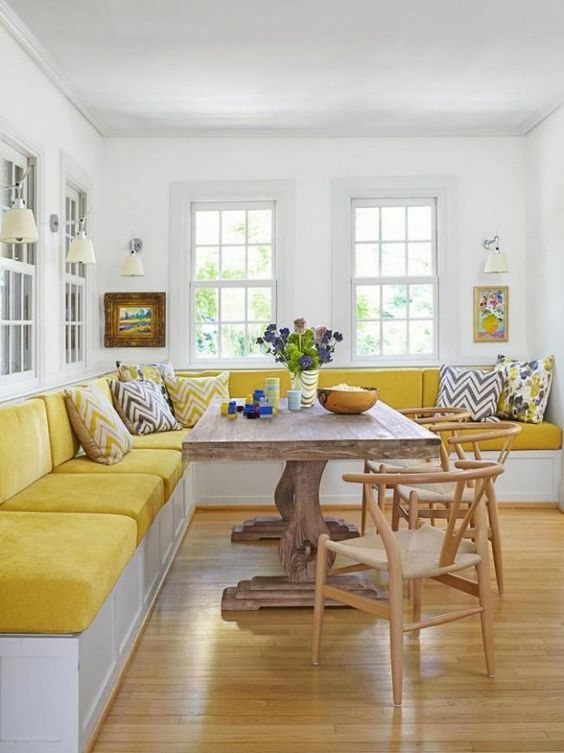 Make a cozy reading nook by the window with a large banquette. 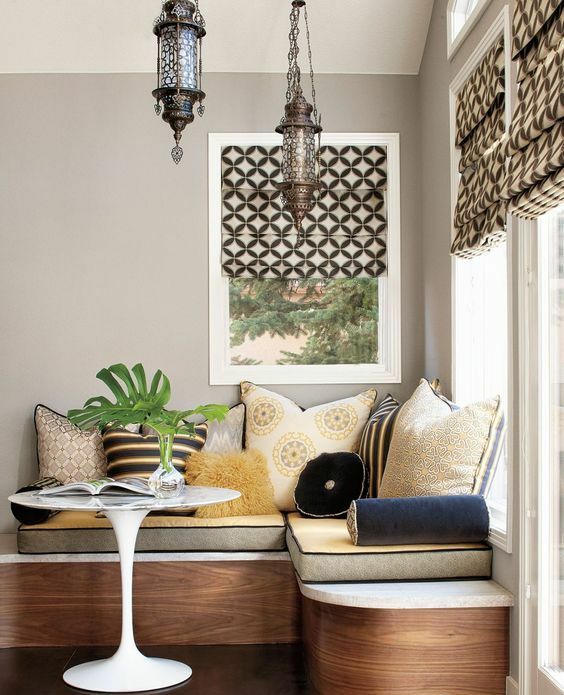 Make your home office bolder with a contrasting banquette. 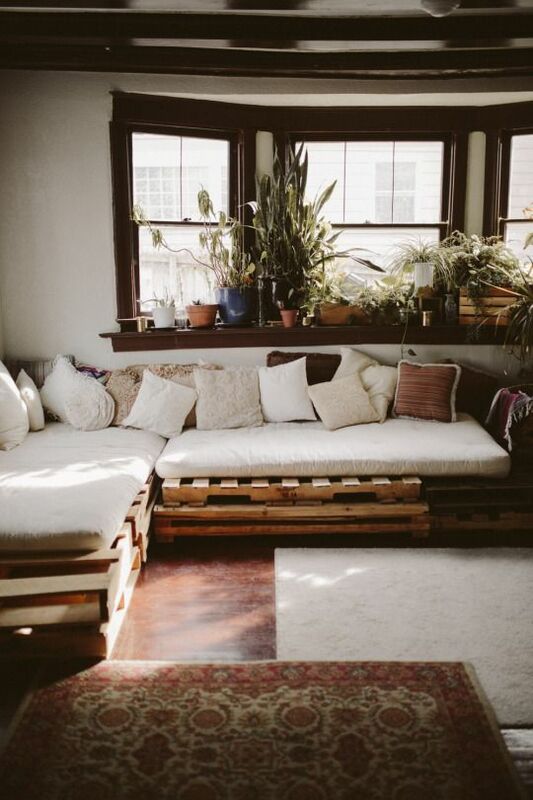 You may also build your own banquette of pallets easily and fast – just add some cushions and pillows on top and enjoy!